Aristides Chiotellis is one of the Founding Partners and President of KLC Law Firm since 2000. 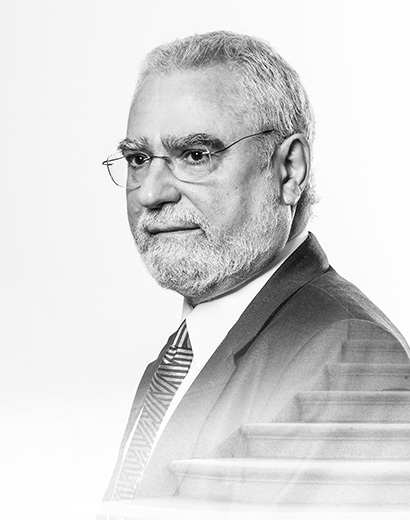 Aristides Chiotellis leads the Litigation and Arbitration and the IP practice of KLC. He has represented clients in numerous international (mainly before ICC and LCIA) and domestic arbitrations as well as in litigation proceedings before Greek Courts. Aristides Chiotellis also sits as arbitrator in ICC and domestic arbitrations. Matters include a wide range of legal issues (such as joint ventures, concessions and privatisations, M&A, IP, banking, commercial and general contract law disputes) and industries (such as shipyards, aviation, industrial, telecom, mass media, pharmaceutical, construction, and food industry). Chambers & Partners Europe describe him as “well respected among peers for his ability to ‘combine the academic and practical aspects’ of disputes. His broad practice includes […] arbitrational advice” (2017 ed.) and he is noted “for his talents as an arbitrator” (2012 ed.). In Legal 500 (2016 ed.) he is noted as “exceptional” and “outstanding”. He has extensive experience in Contracts, Corporate, Banking, Intellectual Property, Competition and Anti-Trust, Public Procurement – Concession contracts, Mergers – Takeovers – Privatisations, Real Estate, Aviation, Dispute Resolution – Litigation -Arbitration (esp. ICC and LCI Arbitration). Ludwig Maximilian Universität München (Germany): Dr. Jur.